The internationally acclaimed stage sensation, Jersey Boys is coming to Leeds! This smash hit musical has won 57 major awards worldwide, including the Olivier Award for Best New Musical. 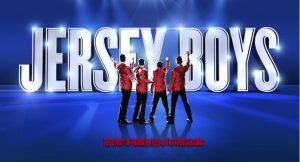 Jersey Boys tells the true-life story of four boys from the wrong side of the tracks who wrote their own songs, invented their own unique sound, and sold 100 … Continue reading "Theatre: “The Jersey Boys”"